The Samuel Zell & Robert H. Lurie Institute for Entrepreneurial Studies was established at the University of Michigan Business School with an endowment of $10 million from Samuel Zell and Ann Lurie, on behalf of her late husband Robert H. Lurie, in 1999. In 2015, the Zell Family Foundation pledged an additional $60 million to extend programs at the Institute and create a new fund for student business ventures. Advisory Board members include: Mr. Zell, Chairman of Equity Group Investments; Michael Hallman, former COO of Microsoft Corporation; and Pamela Applebaum, President of Arbor Investments Group, LLC. 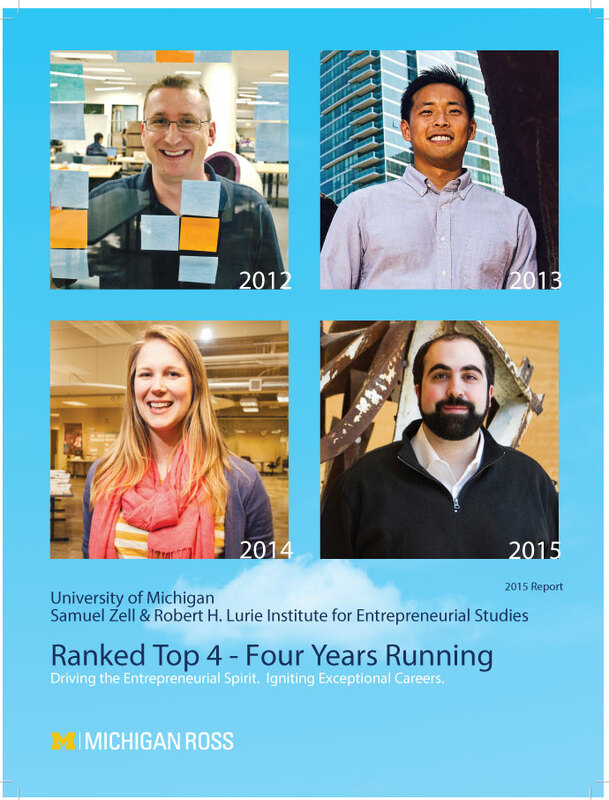 The existence and growth of entrepreneurial studies at the University of Michigan Business School dates back virtually to the inception of the School in the late 1920’s. A small number of courses in Small Business Management were offered primarily to those students who intended to return to family business and for those interested in employment with smaller, local market companies. Today, the School’s Samuel Zell & Robert H. Lurie Institute for Entrepreneurial Studies and its Center for Venture Capital & Private Equity Finance is one of the best-resourced, top-ranked University-based entrepreneurship and venture investing programs around the globe. Whether students wish to pursue a new business venture, join an existing startup, or bring the innovative mindset of an entrepreneur to a large company, strong linkages with alumni and industry professionals elevate the student learning experience and expand career development opportunities.